In conjunction with Girls Inc., Holyoke Community College, and Plunge Arts, POW! will be leading a multi-day workshop for around 40 girls from the Holyoke (Mass.) area during the February 2018 school vacation week. The participants will be guided through the process of developing visual means of representing themes of identity and cultural origin. They will also be introduced to different artistic techniques of applying that imagery to clay. The girls' work will be exhibited at the Paper City Gallery in Holyoke, the opening for which will feature an artist's talk by the Boston-based artist Salvador Jimenez Flores on cultural reflection in art. The POW! truck will also be on hand for the opening, which is open to the public. The opening is currently planned for Saturday 5 May 2018. 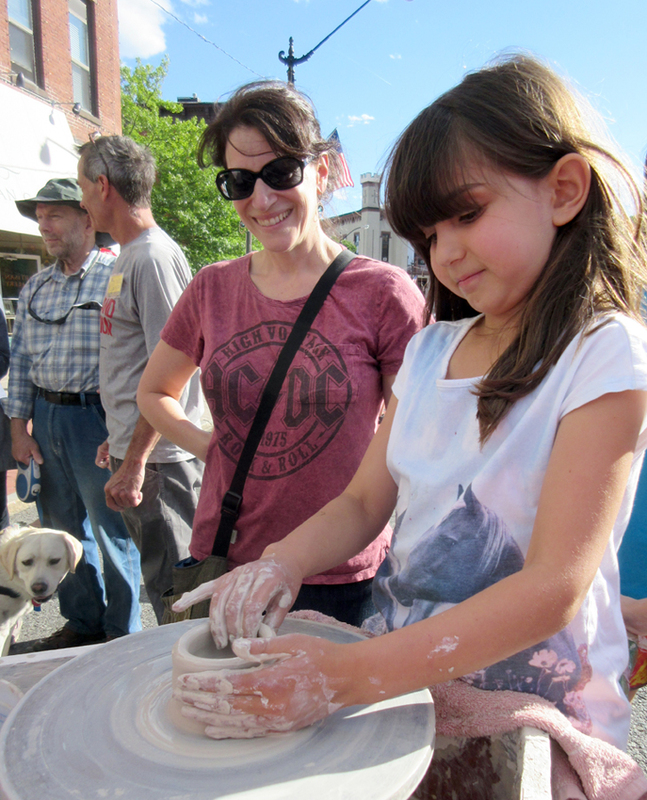 In conjunction with the 10th anniversary of the Hilltown 6 Pottery Tour in western Massachusetts, the POW! truck had a prominent place in downtown Northampton as part of the town's monthly Arts Night Out. Free and open to the public, POW! 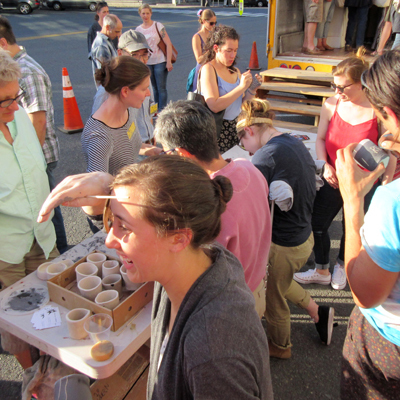 staged its cup exchange, provided basic instruction on use of the potter's wheel and other techniques, and displayed work in the truck's mobile gallery. The event was held with support from the Artisan Gallery and the Northampton Arts Council.